Our apartment is located right off Tartini Square, 3-minute walk to the beach! Piran Easy Sea apartment is located just off Tartini Square: be part of the numerous festivals while in your living room! A pier for swimmers & sunbathers is within 3-minute walk. We offer you a Budget Hide-out with all modern amenities, so you can live like a local: free wifi, air con, full kitchen to cook your own meals, a new bathroom with complementary toiletries. Street-level apartment - just 3 steps up, ideal for those who don't like walking up stairs. -20 sq.m. of living space: enter directly into the living & dining room with equipped kitchen, from here you walk into a separate bedroom and a brand new bathroom! The apartment is on the street level - just a few steps up, ideal for those who don't like walking up stairs. Our apartment is ideal for a family of 2, a third person could sleep on a pull-out single sofa in the living room. We offer bigger apartments in the same building - please inquire if you prefer more space! 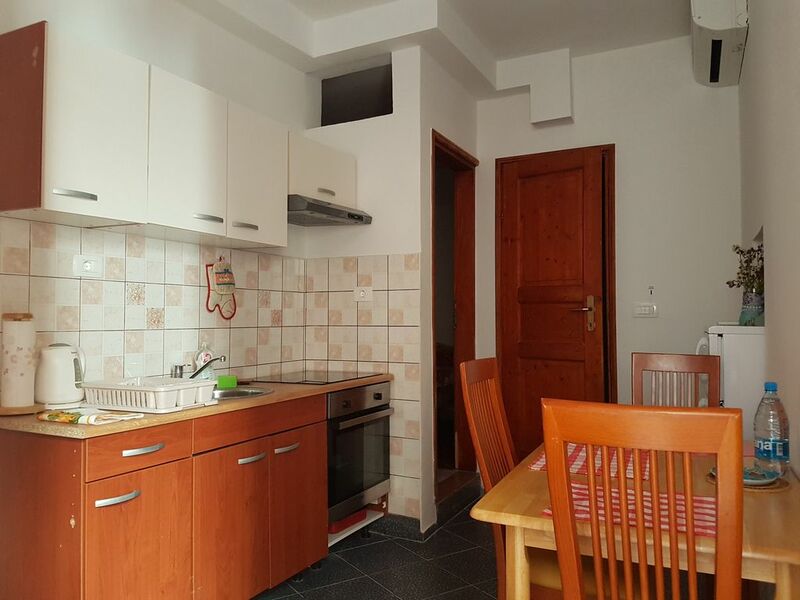 Nice small, renovated apartment in the heart of Piran center. Anna is very friendly, reliable and helpful. Nous avons séjourné 4 nuits dans le petit appartement. Le logement était parfait pour 2 personnes, super propre et bien localisé. En bref c'était parfait ! Le seul petit bémol que nous soulignons est le taux d'humidité, heureusement nous avons pu utiliser le déshumidificateur mis à notre disposition. Encore merci pour tout ! Nous reviendrons ! Die Lage ist kaum zu toppen, Anna ist sehr hilfsbereit und freundlich. Sauberes Appartement mitten im Herzen von Piran, Kochmöglichkeiten sind gegeben und das Bett war bequem! Wir werden Piran vermissen, es war eine wundervolle Zeit!